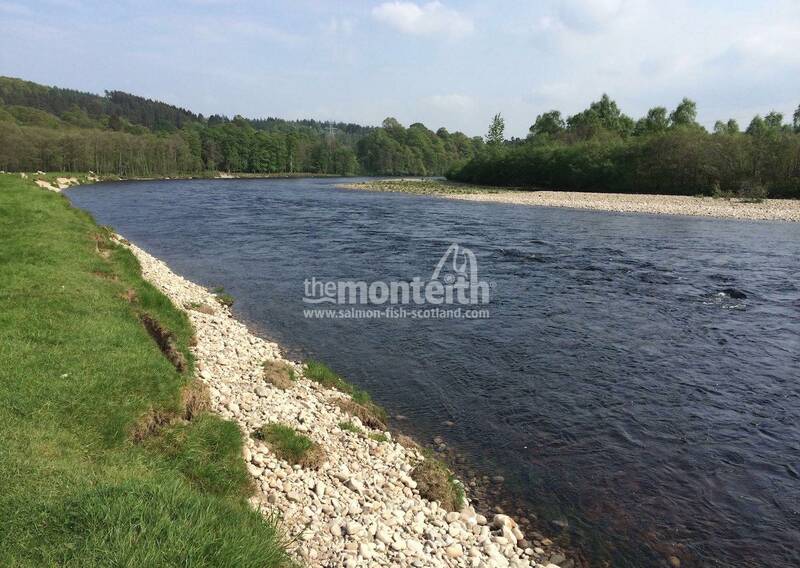 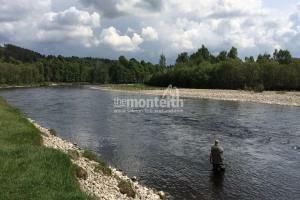 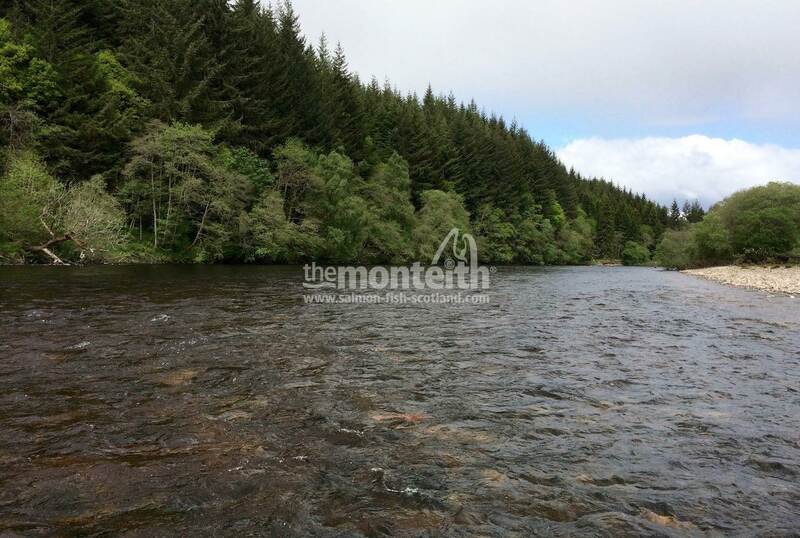 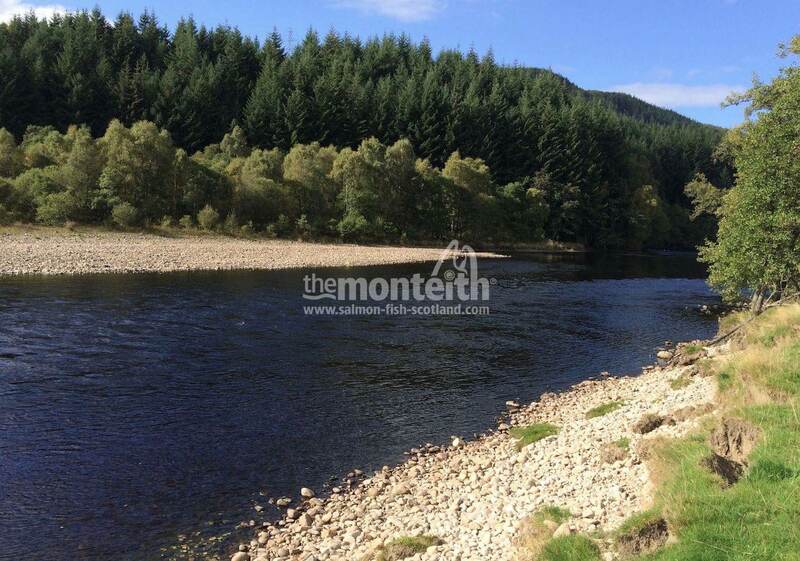 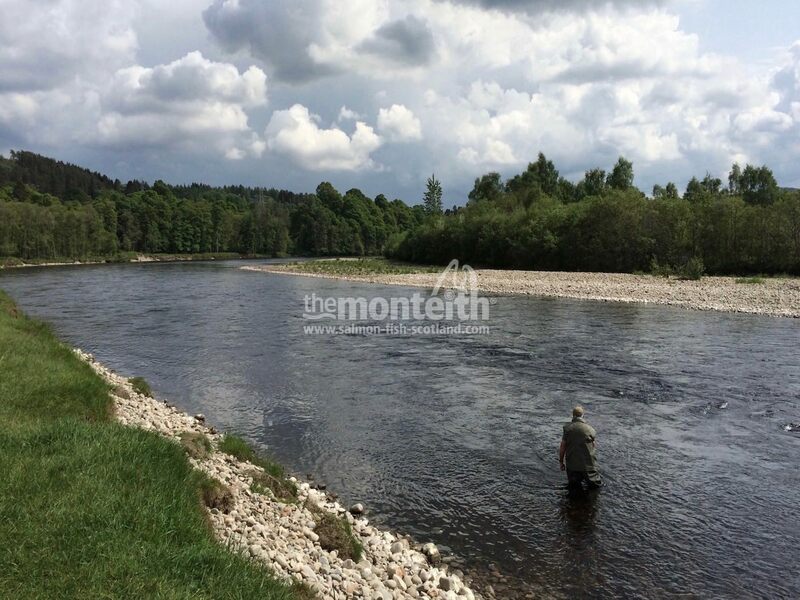 The River Tummel Is A Stunning And Prolific Tributary Of The River Tay System Which Fishes Exceptionally Well For Salmon During The Spring And Early Summer Months. 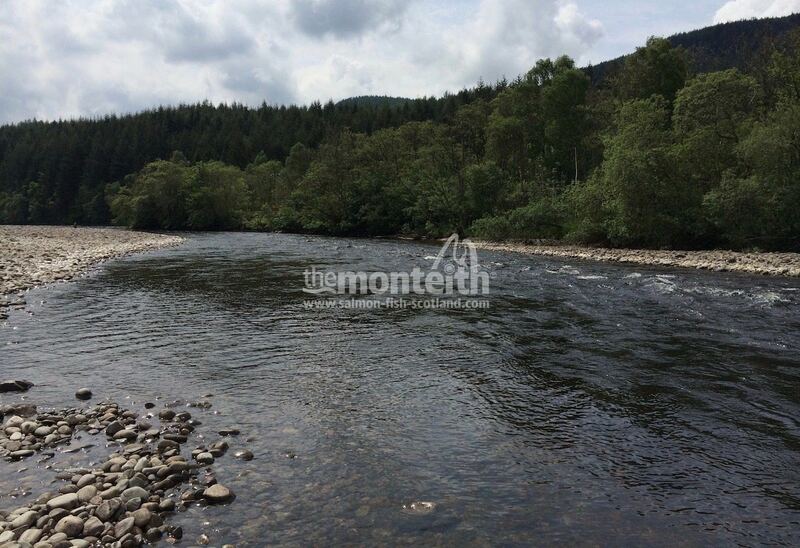 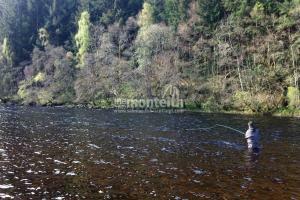 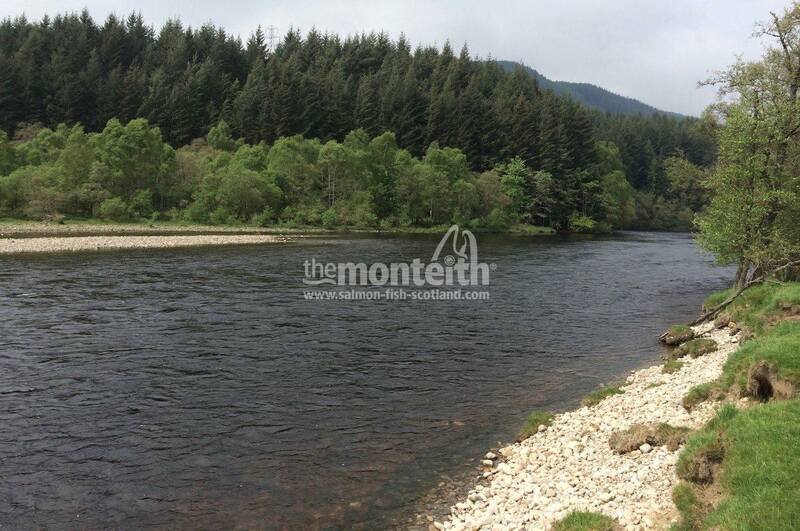 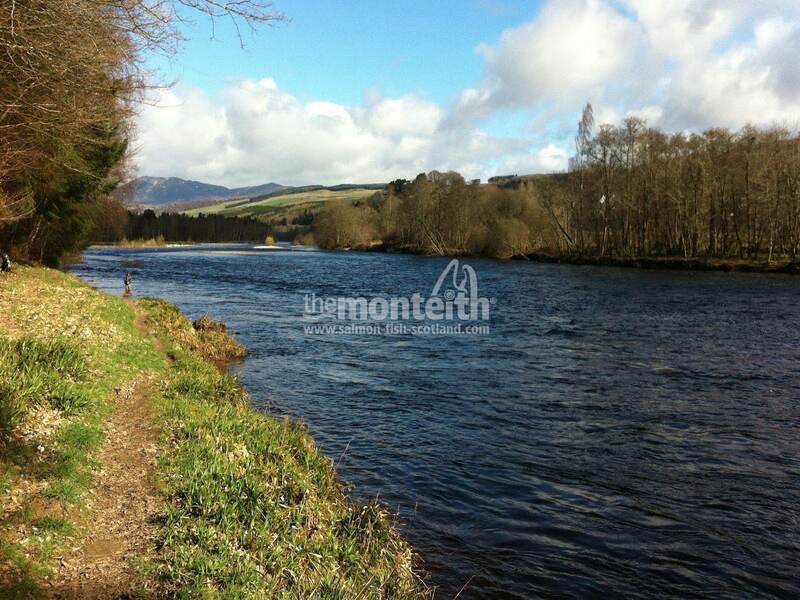 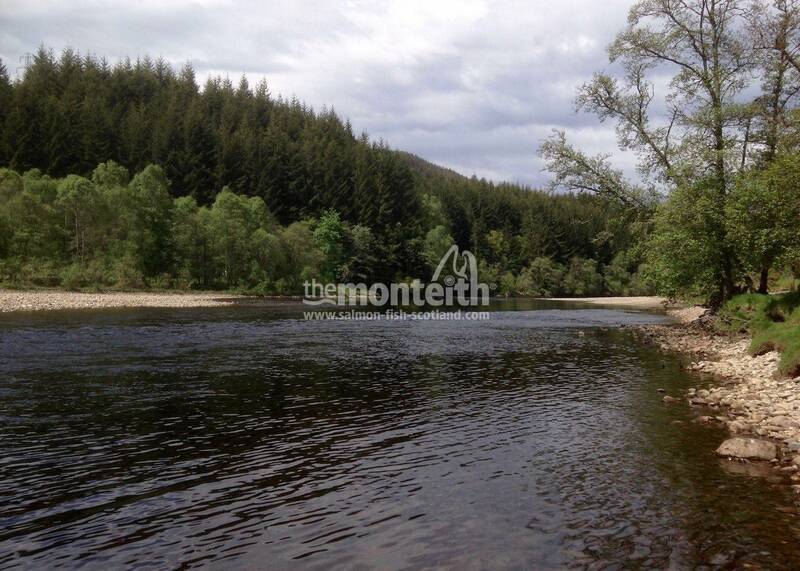 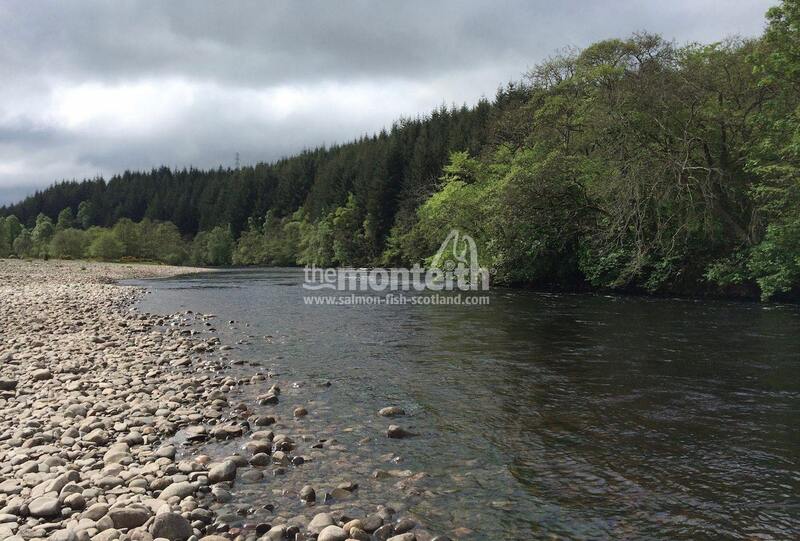 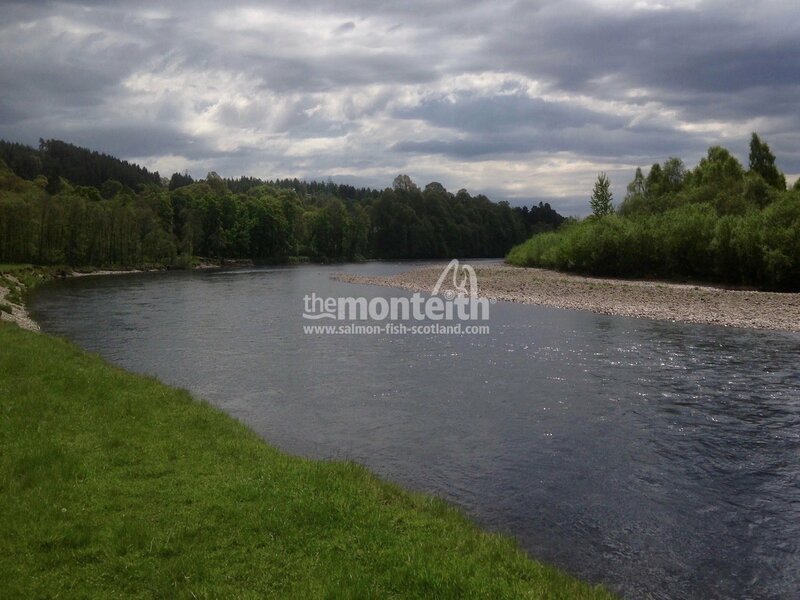 The Lower Tummel Beat Offers The Finest Fly Fishing Water On This Renowned River Tay Headwater. 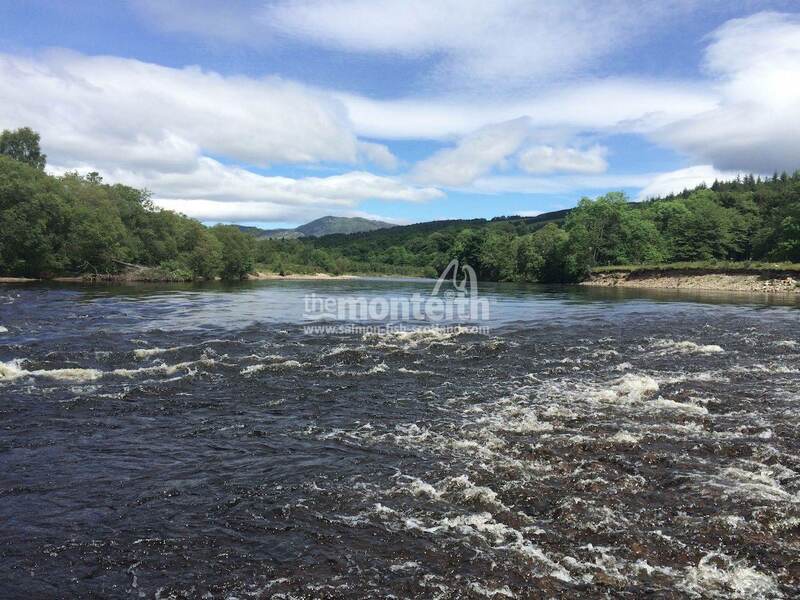 Of all the Tay tributaries that have a good run of Spring salmon the Tummel is one of the very finest with 4000 to 5000 salmon that are counted each season as they ascend the Pitlochry fish pass giving you an idea of the healthy stock levels of salmon the Tummel attracts. 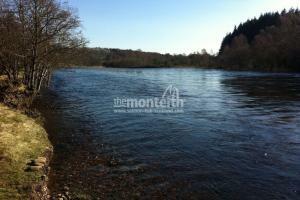 The cold water of Spring usually keeps the bulk of salmon downstream of the Pitlochry dam until the water warms in May. 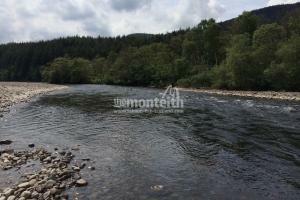 Many of these salmon hold in the lovely salmon pools throughout the entire 6 mile lower length of the Tummel where they can be easily covered with a fly. 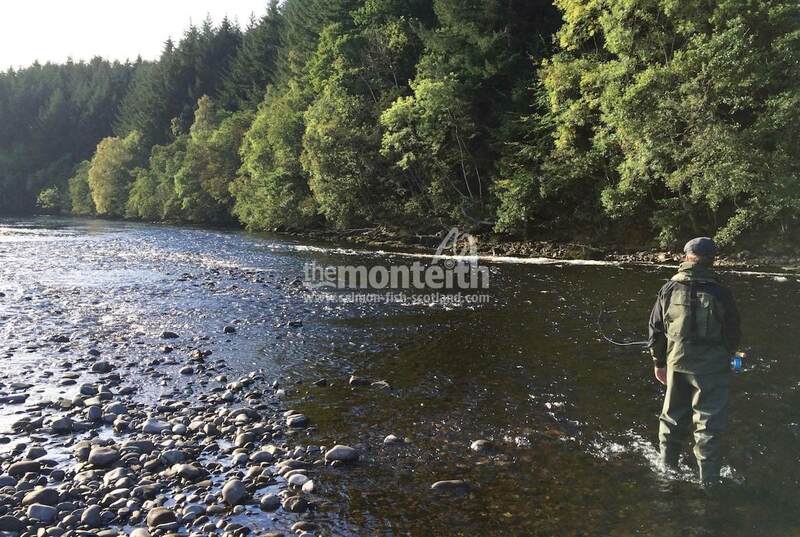 The Lower Tummel salmon beat represents over 30% of the entire 6 miles of the lower River Tummel's fly water which gives you an idea of what this salmon fishing proposition truly represents. 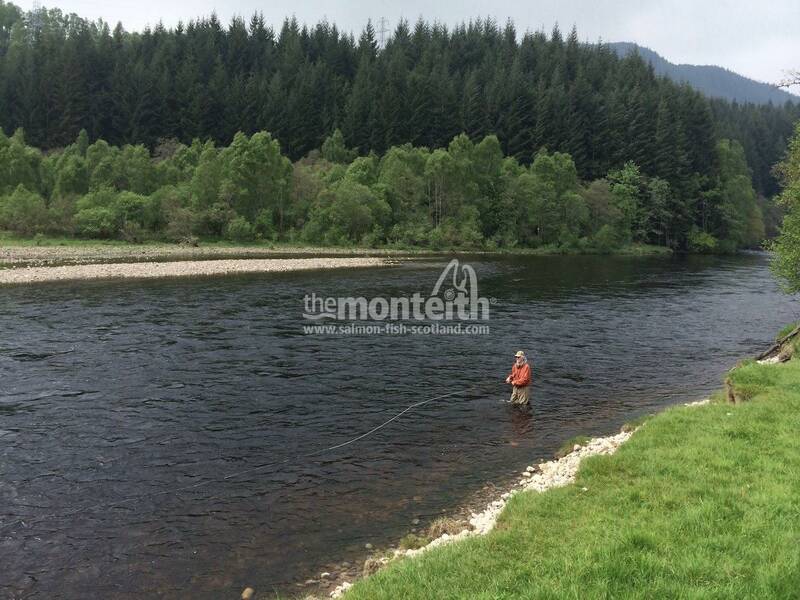 This classic fly water beat is an amazing propostion with its streamy glides and deeper holding pools and not just during the popular Spring & Early Summers months when the Tummel's main salmon run is in full swing. 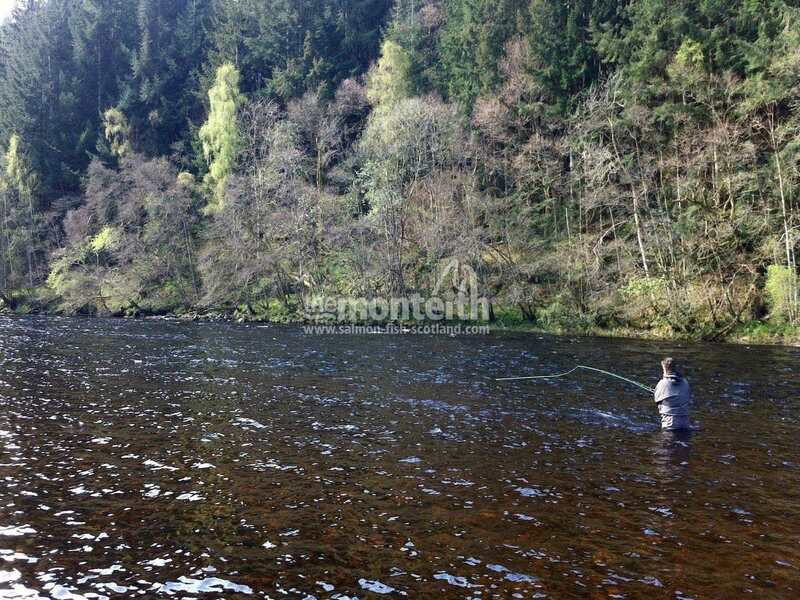 I've seen & caught salmon on this beat through the Summer & Autumn months which are seldom fished. On one such occasion in October I watched a complete novice to the sport go on to land 2 perfect Autumn salmon at the tail of the 'Green Bank' pool after the very briefest of casting lessons. 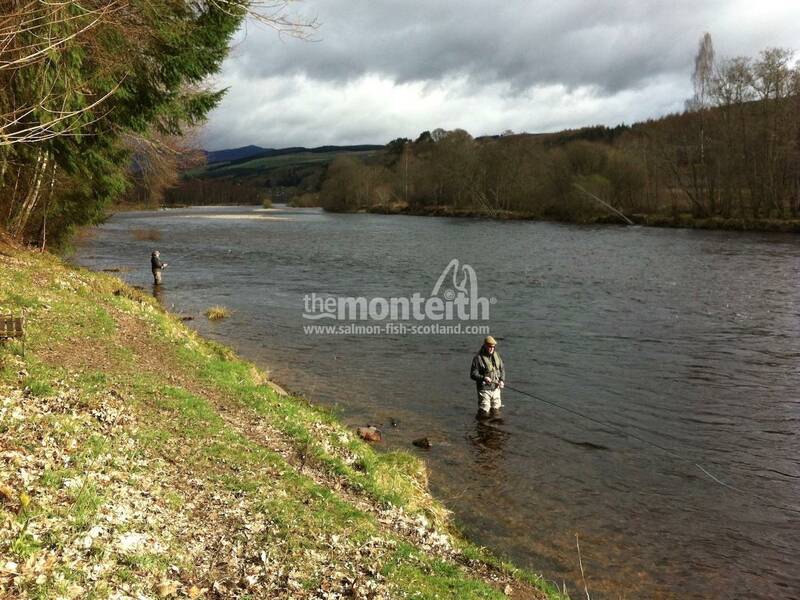 Anytime fom the middle of January onwards there's a solid chance of one of these notoriously deep & powerfully built River Tummel salmon seizing your fly in the streamy holding pools this beat is fortunate to possess. 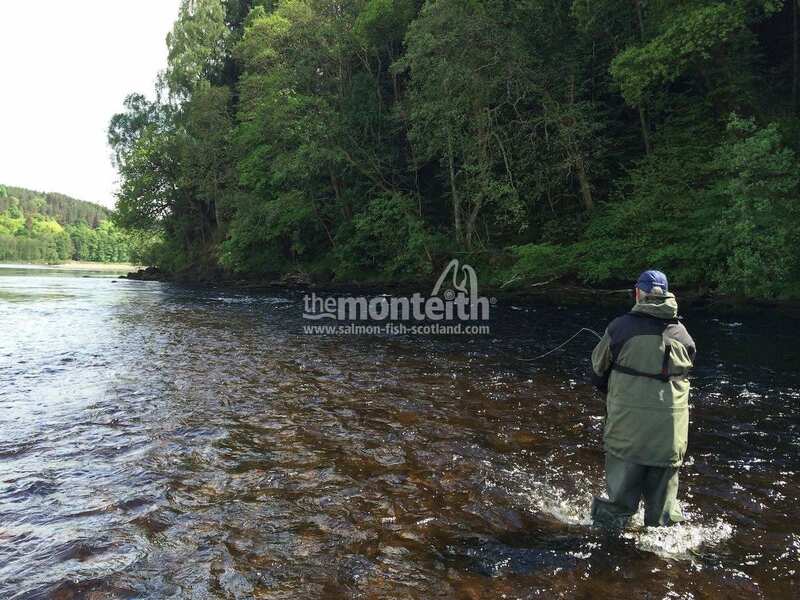 As the Spring weeks progress the chance of action increases to the point where it's near impossible to avoid a take from a fish due to the easily covered nature of this salmon beat. 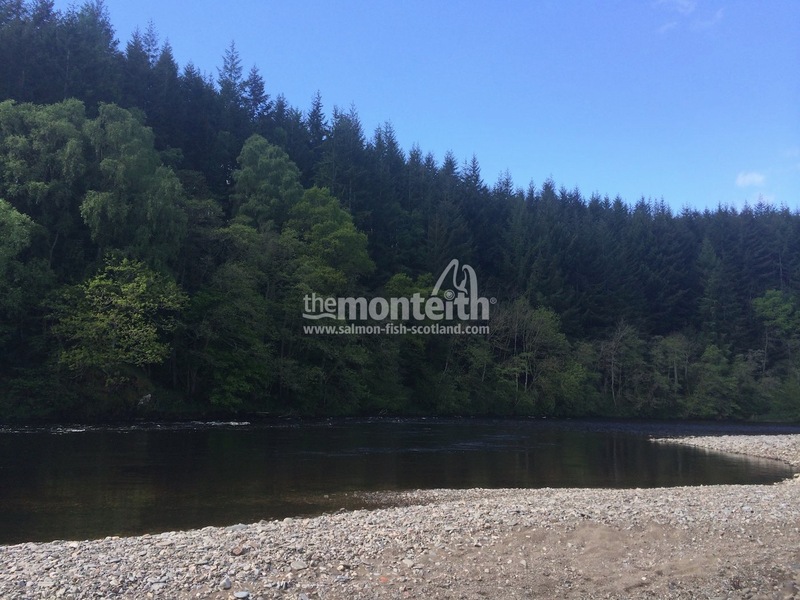 There's not a month however on the Lower Tummel beat where salmon are not present and even in the lowest of Summer water conditions the Killiechangie, Rock, Monument & Green Bank pools all hold salmon. 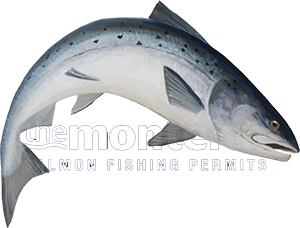 Add a little fresh water and the rest of this beat comes into serious play. 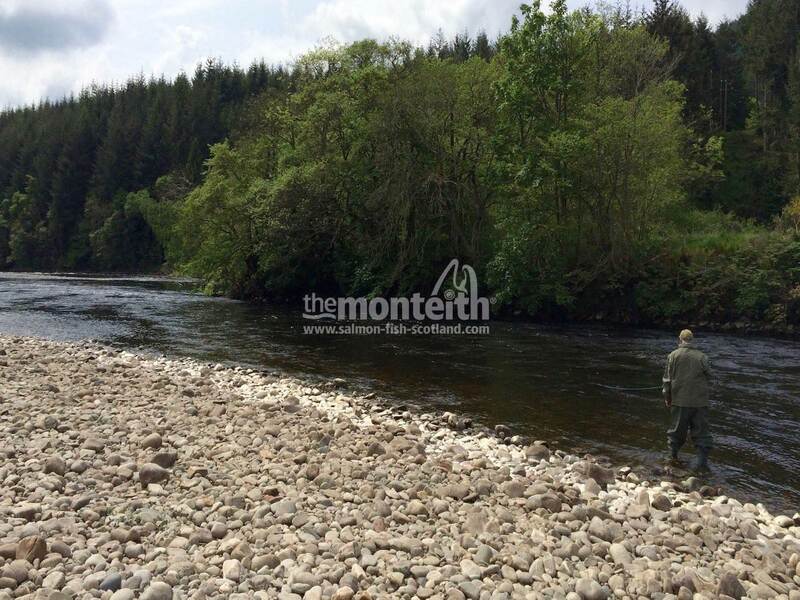 A visit to see the natural beauty and secluded nature of this fantastic salmon fishery will no doubt inspire many revisits especially after you make contact with a few hard fighting 'powerhouse' Tummel salmon! 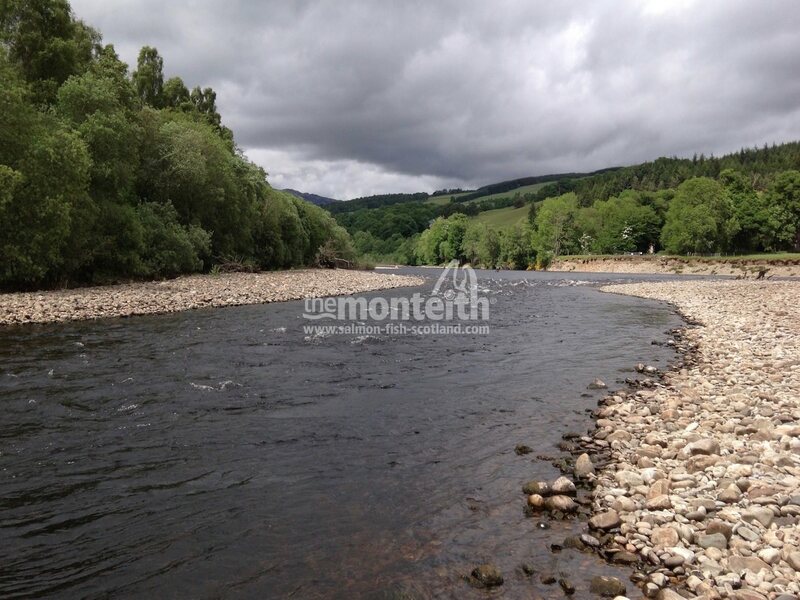 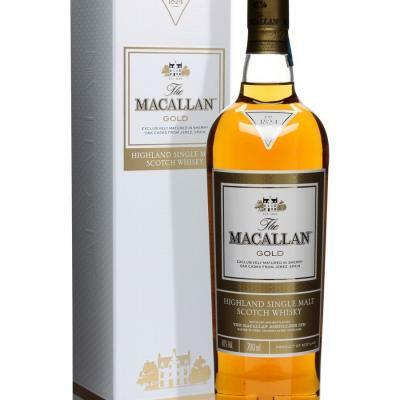 Travelling From The North; From Pitlochry enter or stay on the A9 and travel South bound in the direction of Perth from where the A9 crosses the River Tummel at Pitlochry exactly for 1.60 miles. 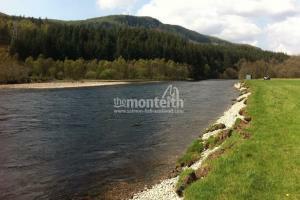 Turn right at the Moulinearn junction off the A9. 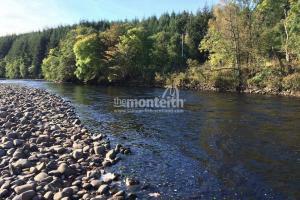 Follow the exact safety instructions to operate the railway barrier crossing and lower the barrier after making the crossing. 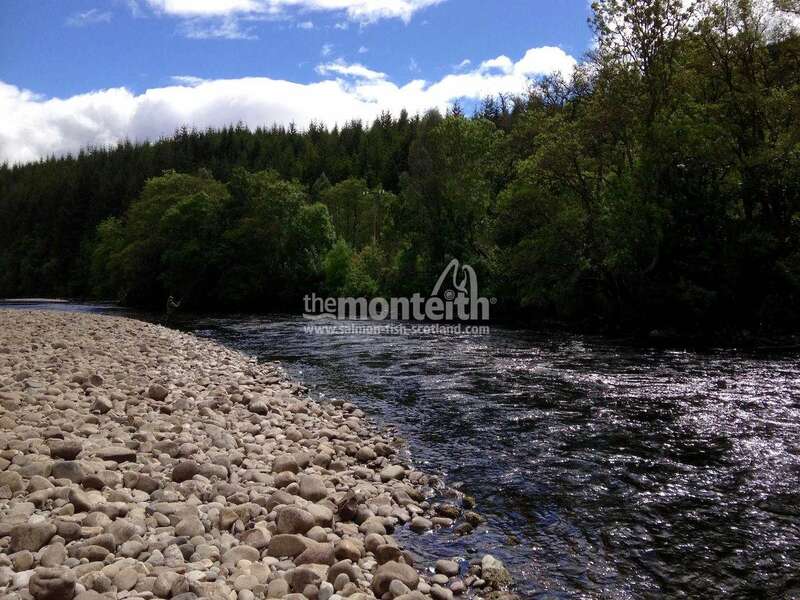 Follow the track over the burn and through the gate to the river. 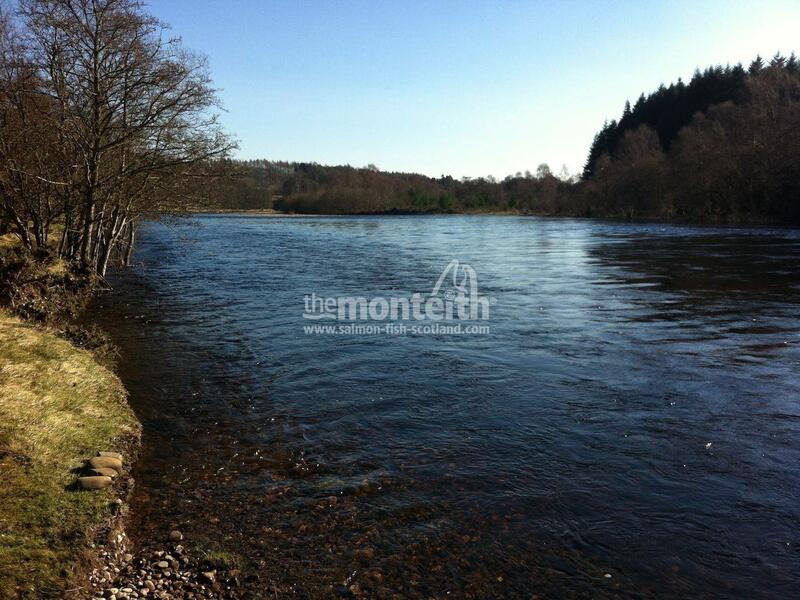 Travelling From The South; From passing the Dunkeld exit on the A9 heading north travel for exactly 9.6 miles. 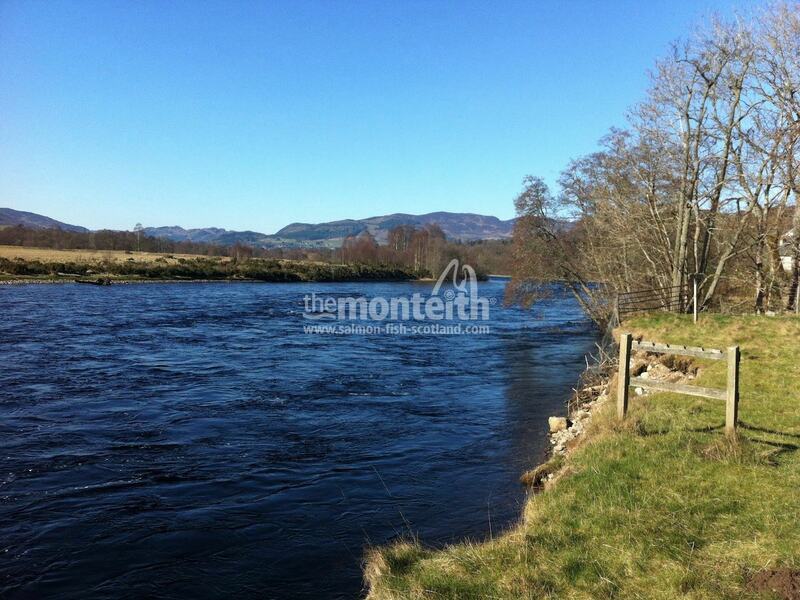 Turn left at the Moulinearn junction off the A9. 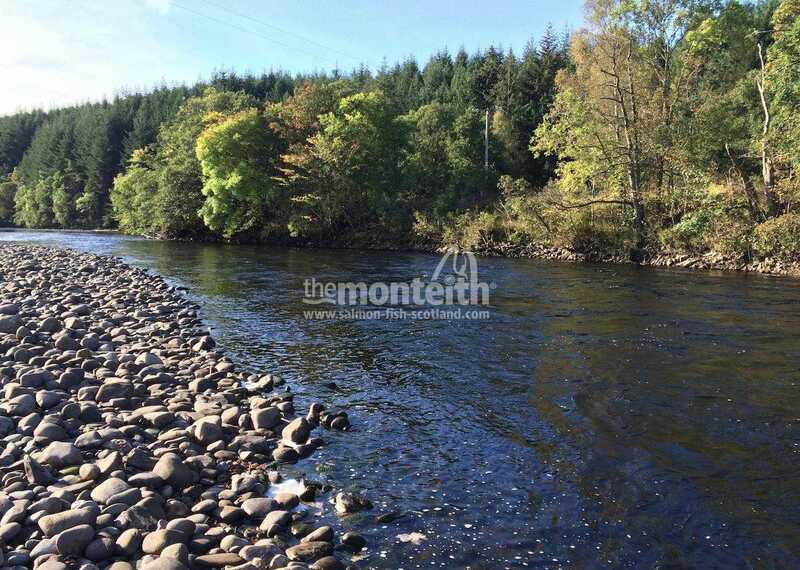 Follow the exact safety instructions to operate the railway barrier crossing and lower the barrier after making the crossing. 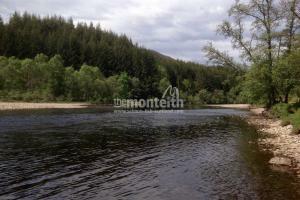 Follow the track over the burn and through the gate to the river. 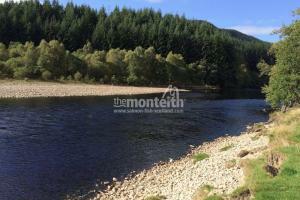 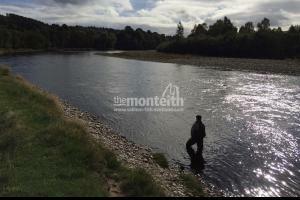 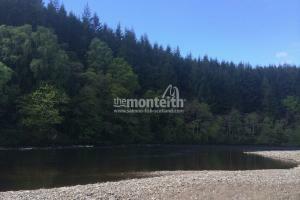 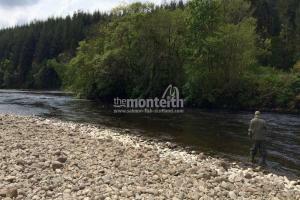 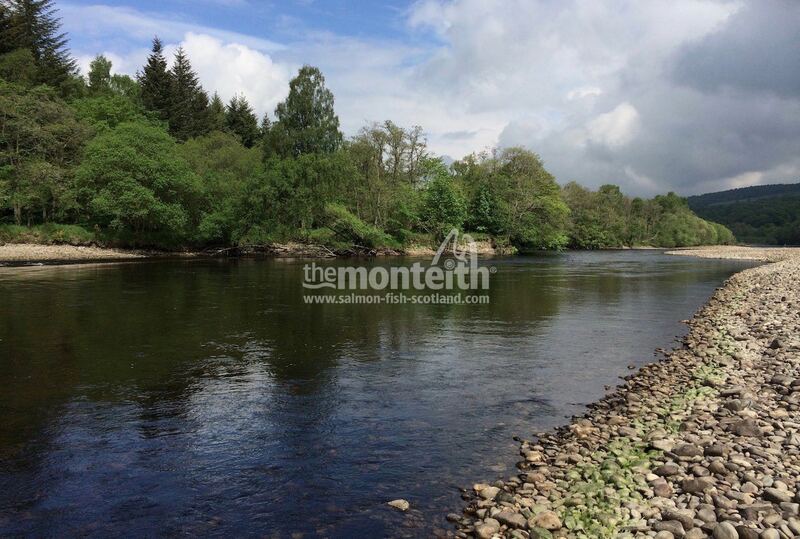 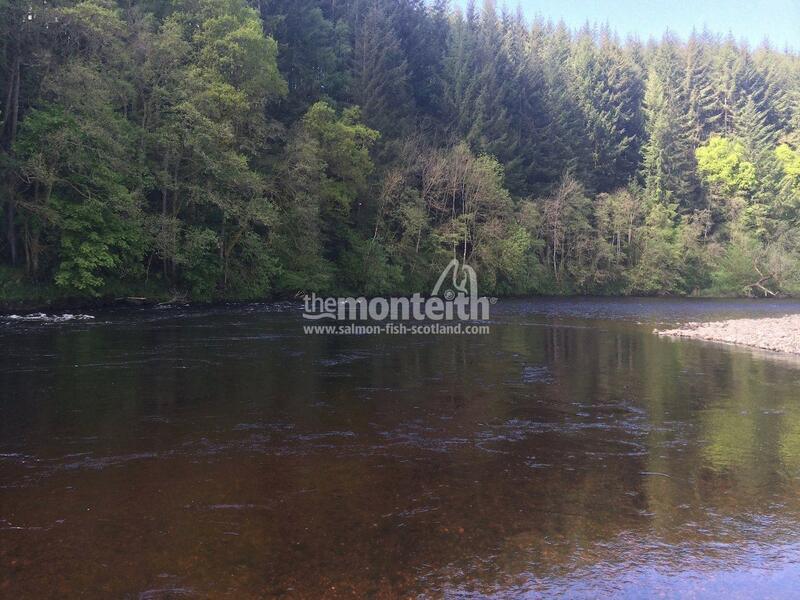 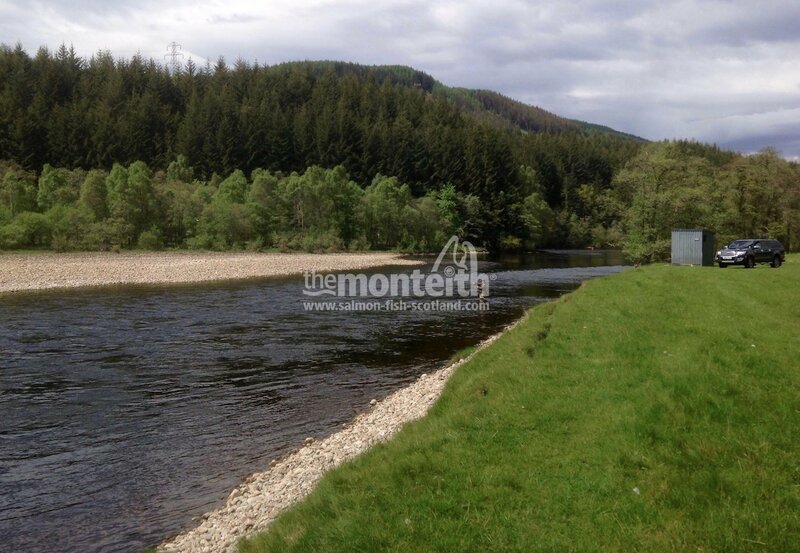 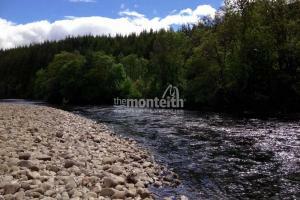 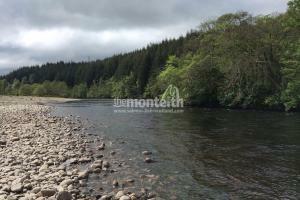 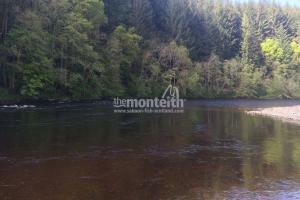 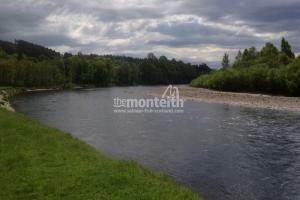 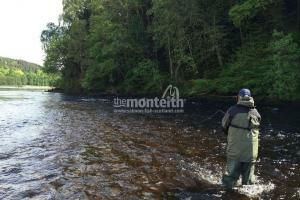 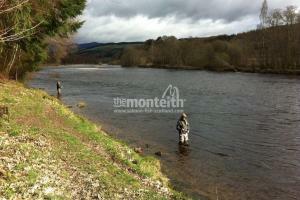 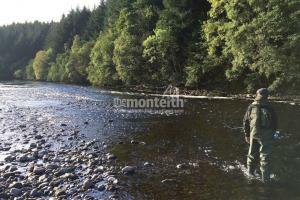 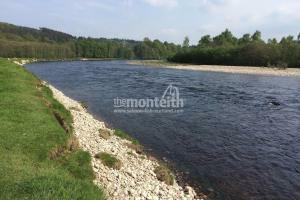 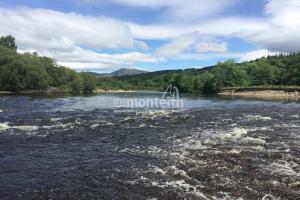 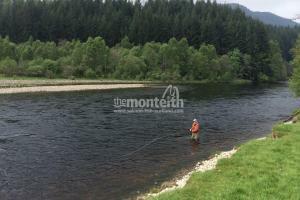 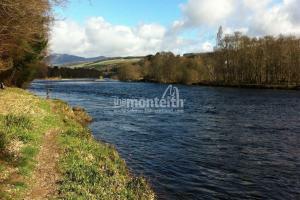 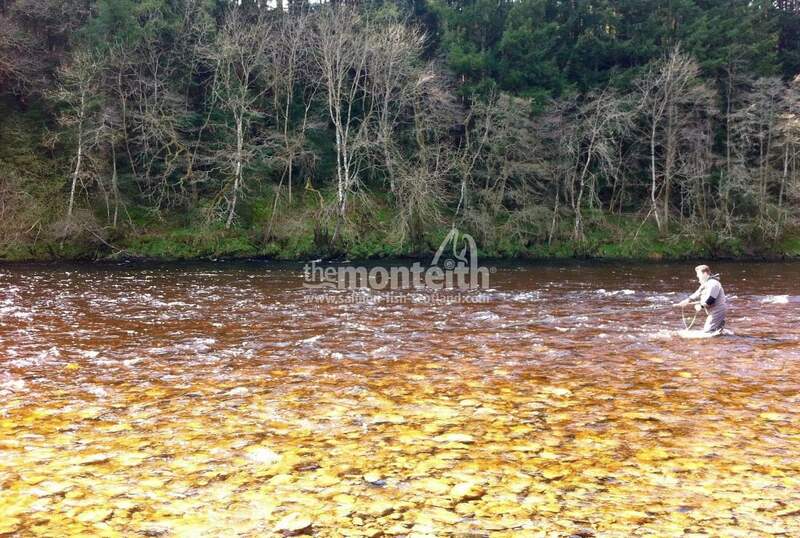 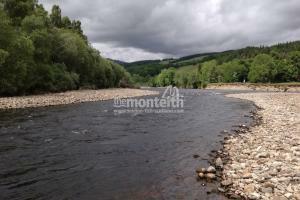 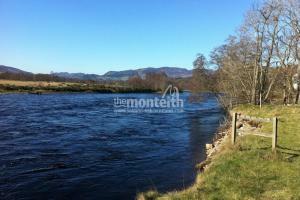 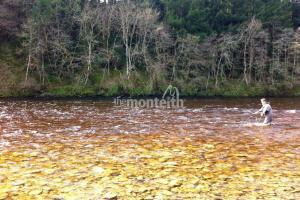 For a detailed appraisal of how to fish each salmon pool of the Lower Tummel beat Click here.